Premium segment of Latvian real estate has always been attractive for investment purposes. We would like to offer a chance to invest and acquire Alpine Baltic complex, which is situated on the silent lands of nature reserve on a picturesque bank of river Daugava. Investment in such kind of property has a lot of potential. 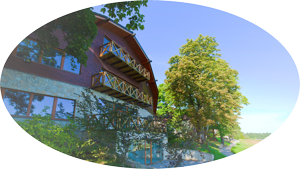 Alpine Baltic complex is situated on the territory of famous nature park named Dole Island (Doles Sala). Its lands are known for their marvelous views, diverse and rare types of flora and fauna alongside with fantastic ecology. Total area of nature preservation, covers over 1055 ha, while first historical references are registered in XIII century. 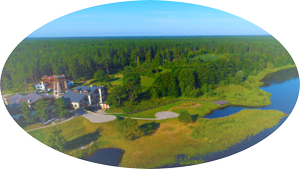 Real estate has a unique location – nature park Dole Island is registered in a list of “under protection” lands ЕС - Natura 2000 and at the same time is very close to Riga city. It is only 25 minutes away from the historical center of Riga and just 45 minutes away from Riga International Airport. Any investment in real estate in Dole Island is considered as a unique due to limited offers, while such complexes in Europe have always been wise investment. Residential property Alpine Baltic is not just a unique place, this is a separate world for complete mental and physical relaxation. This complex, situated in a nature reserve, has been specially designed to escape from the daily routine and to enjoy peaceful life of countryside. Investment in real estate of this kind is an opportunity not only to become the owner of unique complex, but also a chance to acquire the exclusive concept of life philosophy. In this complex you will understand the meaning of peaceful life, and you will enjoy each minute of your stay here in Alpine Baltic. Alpine Baltic complex was designed by a group of talented architects. All the objects on the territory of residential property can be easily treated as unique. Each building has its own style and philosophy characteristic to different Alpine region places. Fascinating Italy, charming Switzerland, aristocratic Austria, romantic France, hospital Germany and cozy Liechtenstein – all of that can be easily be found on Doles peninsula. The architecture of the entire complex exudes the spirit and comfort of old Europe. In 2013 Alpine Baltic was awarded as a unique estate complex and received a prize “Baltic Prix d’Excellence”, confirming its architectural value. Up-to-date SPA-center “Lichtenschtein SPA Platz”. Bath complex of SPA-center consists of Russian bath, “Hammam”, sauna, swimming-pool with sky-roof, fireplace hall, SPA-procedure rooms and other facilities. Respectable restaurant with banquet hall “Montreaux” that has a marvelous outside terrace, fireplace and billiard parlor alongside with banquet hall. 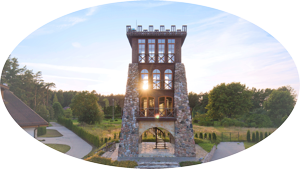 Medieval tower with 12-meter high observation deck proposes its clients to enjoy cigar club and hookah bar named “Metterhorn”. Additionally, you may enjoy private beach, pier and helipad. Currently this real estate is in a process of active development and is offered to private investors as a investment project with high margins perspective. Alpine Baltic – investment opportunity you should not miss. In case you are interested this real estate and our designed concept, we propose you a perfect opportunity to make your investment in this project during its development. Investing in Alpine Baltic is an advantageous offer. You have a unique opportunity to buy a luxury residence complex “Alpine Baltic” in order to make its further development and realization. For additional information, please, do not hesitate to contact our team.